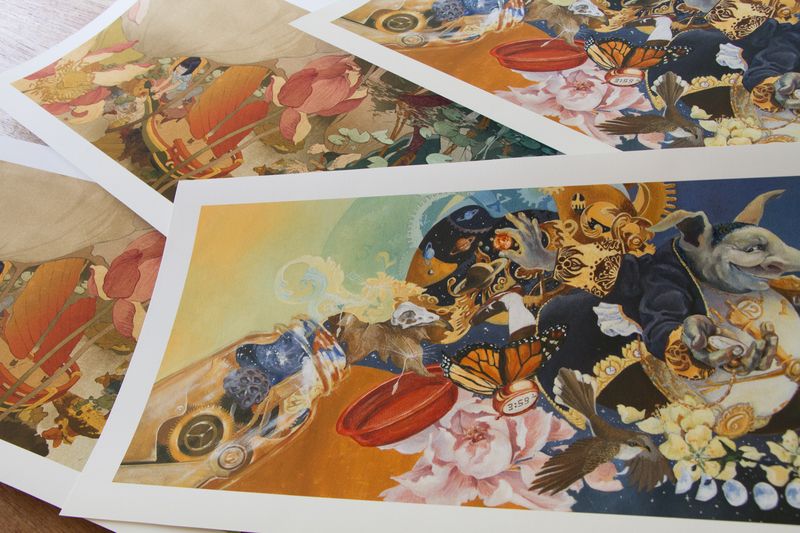 I’ve donated some artwork for Own A Piece of the Magic, a fundraiser for the Canadian Children’s Book Centre (CCBC) and the BC Coalition for School Libraries (BCCSL). I’m happy to lend a hand in supporting the cause of promoting Canadian children’s books. 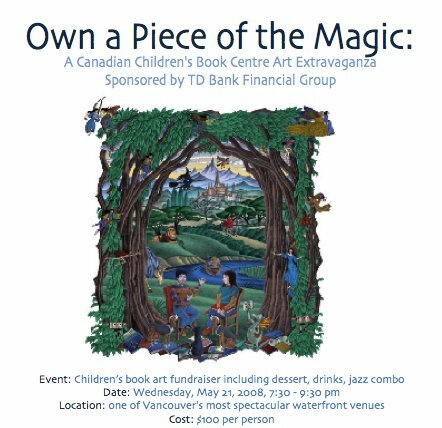 $100 dollars gets you in the door of “one of Vancouver’s most spectacular waterfront venues” and guarantees you a piece of original artwork from a West Coast children’s book illustrator. 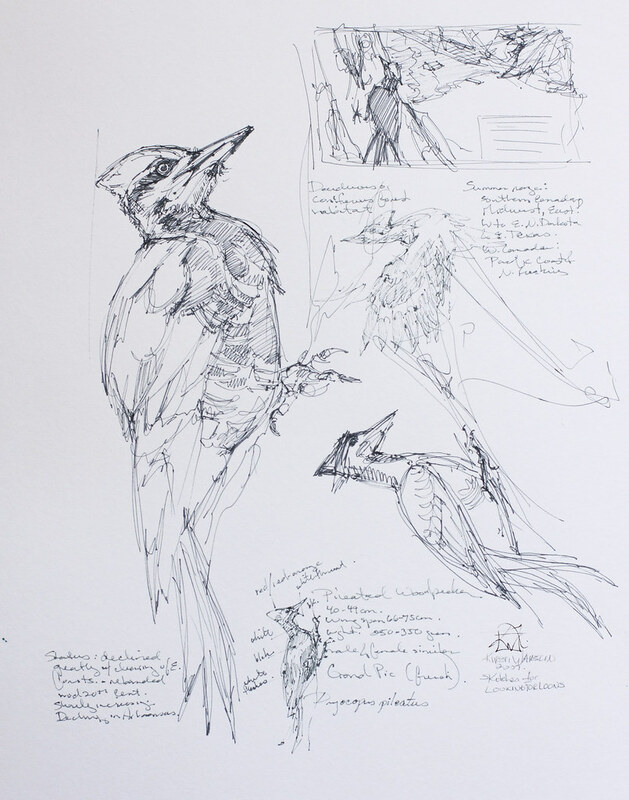 The pieces are randomly matched to their new owners – but if you are particularly fond of a work, you can bid more to ensure you get it. More information about the event, including an order form for tickets is available on the BCCSL website (I apologise in advance for exposing you to the discordant colour palette on that page). If there are other children’s book illustrators out there who are interesting in donating a piece of artwork, please contact Kathryn Shoemaker asap at kshoe [at] telus [dot] net.